Oh lovely parsnip, where have you been all my life? 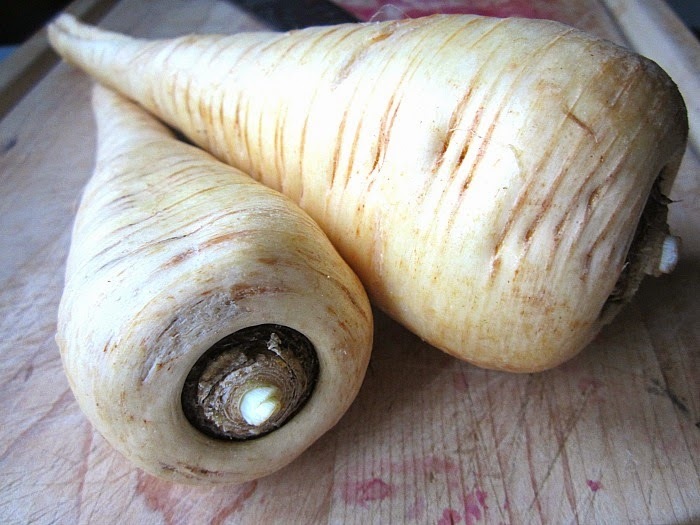 I had never tried a parsnip until I was about 35 years old (same goes for a turnip). My mother never bought them. In the winter months I love roasted root vegetables, parsnips being numero uno. Just peeling this ugly beige carrot evokes such sensory pleasures. THEY SMELL SO GOOD! Like cloves or some kind of spicy carrot. Anyone who knows me (and loves me), knows that I have a fondness for carrot cake. It is my go-to birthday cake, baked by my friend Sally every year on my birthday. 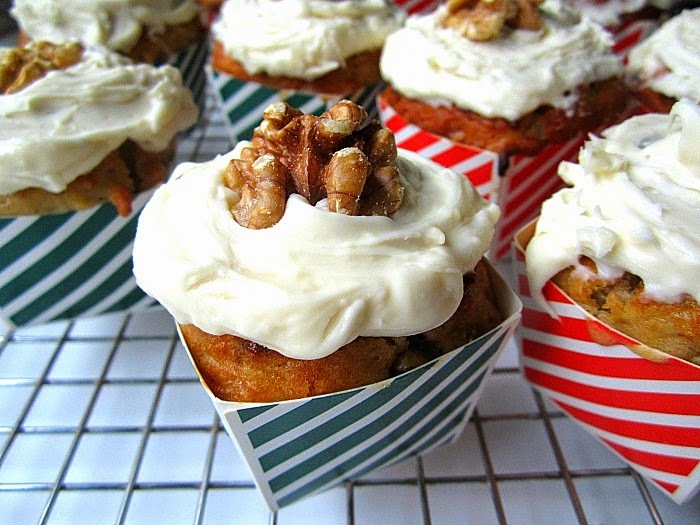 No pineapple or coconut please, but yes to raisins and walnuts. But to honor the beloved carrot birthday cake, I made a close cousin. The only tedious thing about this recipe is the grating of the parsnips on a box grater. Watch those knuckles. 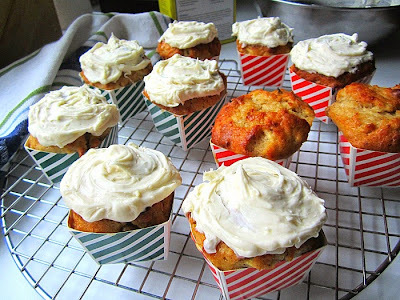 I baked them in these cute little muffin cups and frosted them with a mascarpone icing. I'm a terrible cake froster, so I am calling them "rustic". 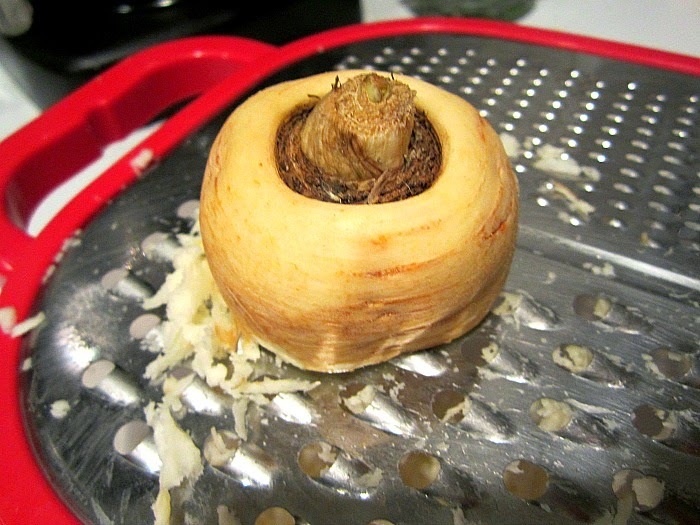 Mix grated parsnips with eggs, sugar, oil and vanilla. Gradually add in the dry ingredients and add in nuts last. I opted for 12 muffins and they were great. 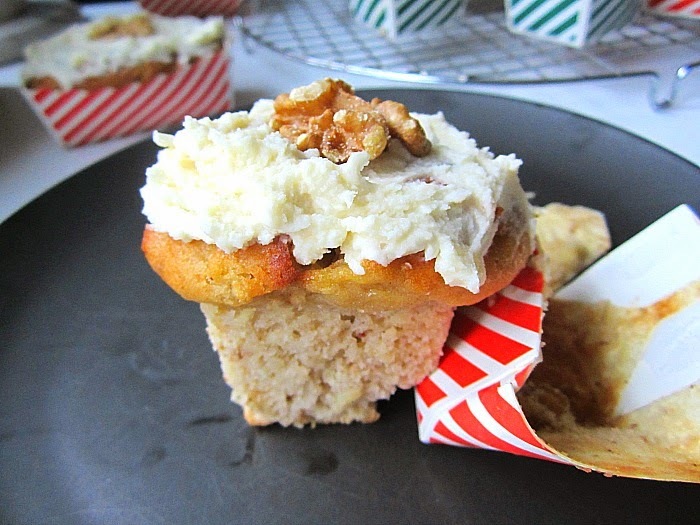 Baking time was 30 minutes for muffins, and I imagine a cake would take 5 minutes more. Let cool completely before icing them. 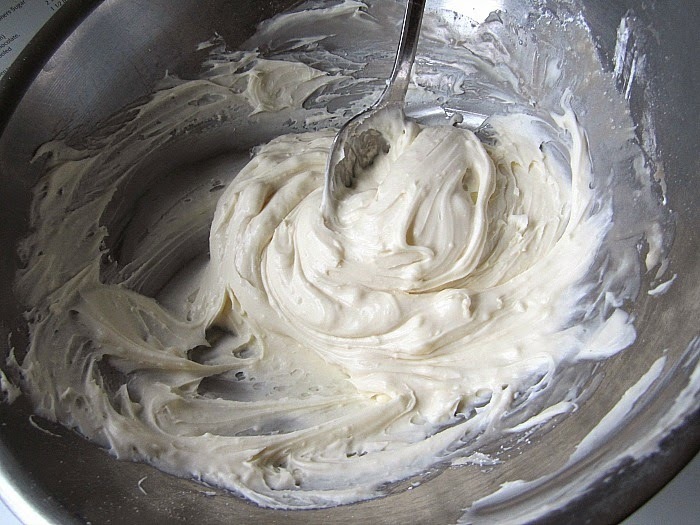 You can dust with powdered sugar or make a frosting. Mix ingredients until nice and smooth and spread the icing over the cooled muffins or cake. I am sharing them with my friends to celebrate my big day. Have a very Merry Christmas! See you after the holidays. Stacey, I bought some of those paper baking pans (small loaf size) and now I'm wondering about baking times versus, say, the small foil pans I usually use for gifting sweet breads. (Banana, etc. - not heavy fruitcake.) Do you have to adjust the baking time? Use same temp as for metal pans? Thank you....and belated Happy Birthday! My fifties were almost my favorite decade. Happy, happy, you crazy, honorary Italian (MAS-carpone)! 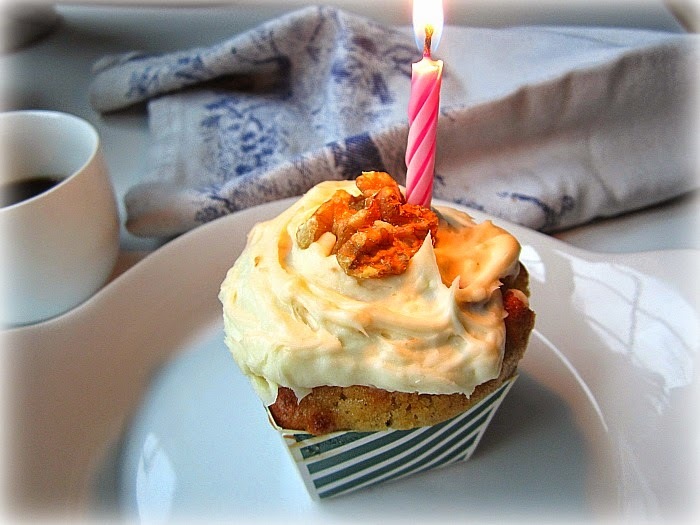 Who else but you would be making muffins outta parsnips to celebrate their birthday? Many, many happy returns. ps Hope that Lady Baltimore Cake is everything you've dreamed about and more. The paper baking liners that I received need no temperature adjustments.......however, I have used brown ones that instructed to turn the oven temp down by 25 degrees. Stacey, mine are brown (cardboard color) inside, color patterned on outside. Polkadots. No special temp instructions on package so will proceed as usual. Thanks! A very happy 50th Stacey. I read your blog consistently. I love the way you cook. I turned 50 in June and all my friends cooked for me for a change. What a great gift. Enjoy. We are the last of the baby boomers. Happy New year.